Alyn joined the school in 2012 and now is one of our most regular instructors. 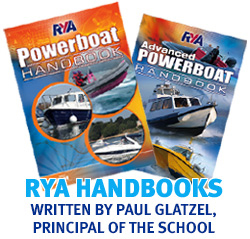 He teaches all of the powerboat courses both on our RIBs and client’s own craft. Alyn like all of our other Instructors is a keen powerboat and sailor and has his own boat moored in the harbour. Alyn spent a number of years in the Navy before becoming a Teacher then an Instructor. “A great course – I learned loads. Alyn was really calm and knowledge.” Jason commenting on the Level 2 course.